“Everything is software today,” said the marketer. “That’s the problem,” said the engineer. While every broadcast engineer has some story about crashing software, data leaks, and duct-tape solutions, today’s nascent software industry might be compared to the embryonic industry of plastics as described in the 1967 movie “The Graduate.” The hit movie starred Dustin Hoffman as young Benjamin Braddock and Anne Bancroft as the mature Mrs. Robinson. The plastics industry was the hot future technology in the 1960’s just as software is becoming now. In an increasingly software-centric world, media companies are looking for ways to reduce costs and that often means considering a cloud solution. Simply moving tasks to the cloud may be only a first step. What if you didn’t need to purchase multiple solutions? The article, “No Hardware Required,” discusses how some media solutions could be merely rented as needed. For you audio engineers, this week’s second promoted article focuses on the benefits of an 80-year old microphone technology, ribbon mics. Ribbon mics are enjoying a resurgence as some digital platforms may expose the shrillness of some other types of mics. It is not that condenser and dynamic microphones are of lower quality, but that each technology has its own sound. 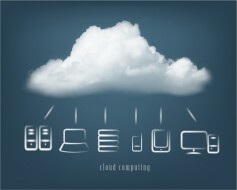 Media production, playout other tasks will increasing become cloud-centric with fewer on-premise hardware requirements. In a recent Juniper and CLX research report, the authors looked at how some of the latest cloud-based software systems may be appropriate solutions for enterprises. Using that report as a reference, the article, “No Hardware Required,” uncovers some types of software solutions can be leveraged by media companies to improve workflow and productivity. No matter what type of media and signal processing may be required, cloud-based services are likely capable of handling it. Learn more about these solutions in this insightful and research-based article. Dolly Parton sings into AEA replica of the 1930s-era RCA 44BX. What’s old is new again. An ironic confluence of interrelated events — one that brought ribbon microphones to the front and center of broadcasting in the 1930s and to seemingly lose favor in the 1960s — is back again after 85 years, the ribbon microphone. Ribbons are known for a very musical, natural sound. But, in the 1960s, ribbons fell out of favor — not because of the microphone itself, but due to changes in the way voices and music were recorded. Then in the 1990s, digital recording replaced analog tape machines. Because digital recording is far more transparent and honest with the sound it captures, engineers found that the condenser mics they had been using for years sounded too harsh and brash when going directly to digital converters. Let The Broadcast Bridge help you prepare for a busy convention. Special pre-show coverage begins on July 1, 2018. Don’t rely on out-of-date print newspapers for new product news. Get your daily dose of new products, technology developments, company show announcements and other pre-IBC2018 coverage here at The Broadcast Bridge.